If you would like to get the most from your heating, ventilating and air conditioning system, you may be wondering what steps will allow you to save money and increase its effectiveness. 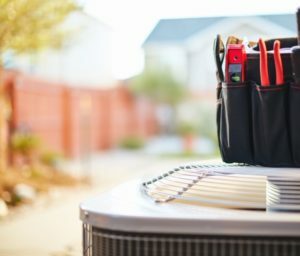 Many people look for ways to upgrade their HVAC system to reach their goal, which is a wise move along the correct path. 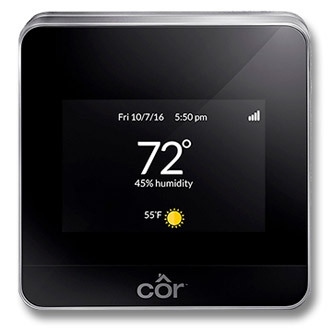 But if you want to enjoy the rewards without much effort, consider the advantages of installing a smart thermostat. You likely turn your thermostat down before you leave home, to help keep your energy bill down, which is understandable. The problem, though, is that you will then come back to an uncomfortable home. In times of extreme cold or heat, you will need to wait in an uncomfortable environment while your home reaches the target temperature. You won’t need to face that problem when you use a smart thermostat, and it will even optimize your home’s energy efficiency. You can program it to know when you leave and come back, and your thermostat will automatically change the temperature for you, ensuring that your home will always be at a pleasant temperature when you arrive home. Intelligent thermostats allow people to catch problems in the early stages before they have time to progress. You can set an app on your smartphone to alert you when your home falls outside the predefined temperature range. Strange temperature fluctuations are often a red flag that your HVAC system is having trouble. If you are curious about the benefits and would like to learn more about how smart thermostats can provide a level of convenience you didn’t know you needed, you have come to the right place. You can reach out to our team with your questions at 909-201-3413.